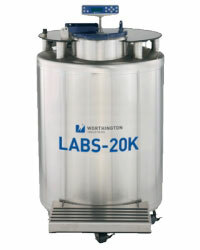 The Worthington Industries LABS 20K LN2 System is the perfect cryogenic storage solution when you require storage capacities of up to 19,500 2ml vials. This unit features an easy-grip, aluminum turn-table for easier movement, a flat table top providing a convenient work surface and a hinged and lockable lid with a sealed coating for long-lasting LN2 temperatures. 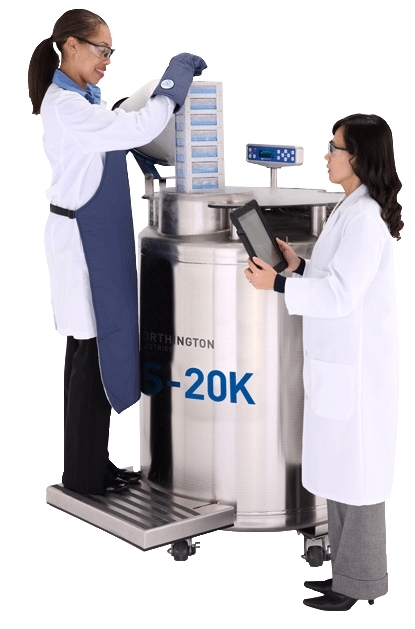 The NEW CS Series control system allows you to control and monitor liquid levels and temperatures while providing enhanced sample security. We offer a large variety of inventory systems and accessories making this unit complete. *All LABS Models with the CS200 controller require a plug end configuration for country of end use. 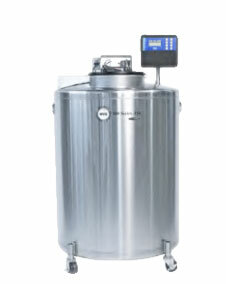 (3) Includes the empty weight and total LN2 capacity weight. (4) 2 ml vial size/12.5 mm O.D. internal thread. 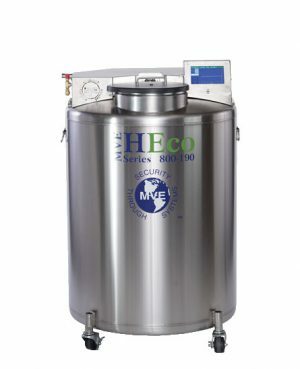 High efficiency - very low LN2 consumption. Single pivot point aluminum turntable design - smooth rotation and ergonomic use. Hinged lid and stainless steel table top - easy operation with convenient working surface. Enhanced and intuitive controller technology.